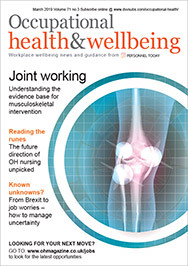 Getting a second opinion from a doctor can cut long-term sickness absence by helping ensure employees get the right diagnosis and treatment to return to work, says Dominic Howard, director Europe at second medical opinion service Best Doctors. Quite rightly, economists and statisticians all collect data on absence. You will have seen it used repeatedly in the news – for example, how workplace absence oscillates from year to year (in 2014-15, 27.3 million days were lost to work-related ill health, according to the Health and Safety Executive), or how various experts work out what this costs the British economy each year. On the latter point, this is not always an exact science. Figures put it at anything from £11 billion (according to XpertHR’s 2015 absence survey) to as much as £29 billion (according to PricewaterhouseCoopers). Much less contentious, but far less reported, are the differences in impact between short-term and long-term absence. And yet, it’s these differences that employers should really understand. About 2.5% of all working time is lost due to sickness absence (which translates to 5.7 days per employee per year). However, workplace absence is not all the same. 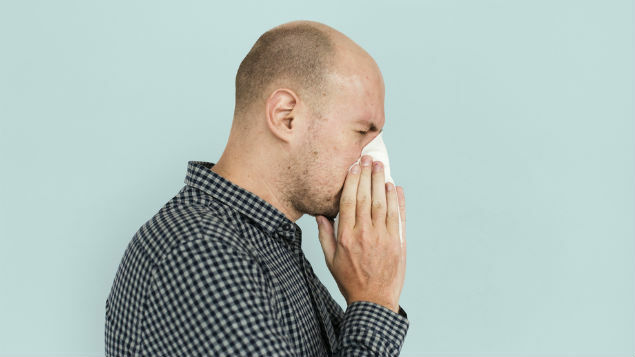 Minor illnesses such as short-term bouts of coughs and colds only account for about 30% of all absence, according to the Office for National Statistics, and even less of the total days lost. In fact, it’s long-term illness (defined as more than 28 days) that has the most devastating loss for employees and employers alike. In some organisations, long-term absence can be responsible for as much as two-thirds of overall days lost per year, and according to the 2015 CIPD’s “Absence management report”, the top four causes of long-term absence are the things that are becoming more common: acute medical conditions, followed by stress, mental health and musculoskeletal injuries. So why should we be aware of these figures? The reason is simple: employers must be alert to the dangers of a short-term illness turning into much more serious, long-term absence. Government data shows there are now one million people on long-term sickness absence, and research has proven that once people become long-term sick, they are significantly less likely to ever return to work. This is bad news for employers, which will have invested significantly in their talent, and it is obviously very bad news for the employees, too. But long-term sickness absence does not have to be inevitable. Data demonstrates that early intervention, including, crucially, the right medical diagnosis and treatment plan, can dramatically speed up a person’s recovery, and get staff back to work faster. Estimates suggest that as many as one in six illnesses is misdiagnosed, often consigning people to a much longer path to recovery. Independent, expert medical opinion services reveal examples in which a different set of medical treatment has been suggested – one that not only ends up being more successful, but in most cases is less invasive, cheaper and ultimately leads to a much faster process of recovery. It is this speed of recovery that is significant, getting employees back to work and productive again, sometimes weeks, or even months, sooner than their original diagnosis and treatment plan would have suggested. Currently, the average number of days lost due to musculoskeletal disorders is 17 (HSE statistics). While not all of these will comprise consecutive days off, the figures do at least reveal just how close these medical problems are to being classed as long-term sick. And it is about making sure short-term absence does not turn to long-term sickness that is of vital importance. It is for this reason that second opinion services are likely to grow to become an important part of corporate absence management and return-to-work strategies. Employees will increasingly demand this type of service as part of their employment contract, while employers will add it to their reward strategy. And, as more people work until much later in life, they’ll want to know that their employers will be able to help them return to work if they suffer from ill health. Of course, all employers sit somewhere along a spectrum of providing sickness support. But the data is compelling. For those companies that are serious about managing their sickness, and serious about proper return-to-work policies, independent, expert medical advice will play an increasingly important role today and in the future.